Peterbilt and Kenworth both recently made the Bendix Wingman Advanced system available on medium-duty models. 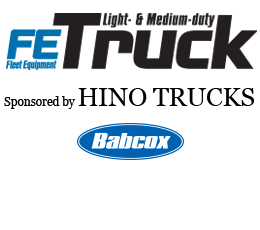 The collision mitigation technology that improves safety and integrates with the Bendix ESP full stability system can be ordered on Peterbilt Models 337 and 348 and Kenworth T270 and T370 medium-duty trucks. The Bendix Wingman Advanced radar-based collision mitigation system uses a radar-based sensor to help drivers maintain safe following distances and to detect stationary metallic objects regardless of darkness, fog, rain, smoke and snow. The system utilizes a combination of adaptive cruise control with braking along with autonomous emergency braking technology to help drivers mitigate rear-end collisions. When a potential hazard is detected, Bendix Wingman Advanced gives the operator an audible warning and displays the warning on an in-dash module that is also the driver interface with the system. When the cruise control is on, a desired road speed is set and the system determines that a collision is imminent, the adaptive cruise control feature automatically engages the throttle, engine retarder or foundation brakes to maintain a safe following distance. “This proven technology is popular with Class 8 fleet customers, and now medium-duty truck operators can specify the system to help avoid collisions not only on highways, but also in urban driving conditions experienced by medium-duty truck operators,” said Kurt Swihart, Kenworth’s marketing director. Mitsubishi Fuso will add Mobileye’s collision avoidance system to all of its 2017 model-year Fuso FE and FG Series medium-duty cabover trucks. The system will initially be provided free of charge on all 2017 chassis-cabs to build interest among fleets. At Hino, notes Beckman, aftermarket options that improve safety such as exterior video monitoring systems are available while the Hino INSIGHT platform provides for a proactive approach to operating and maintaining vehicles as safely as possible. 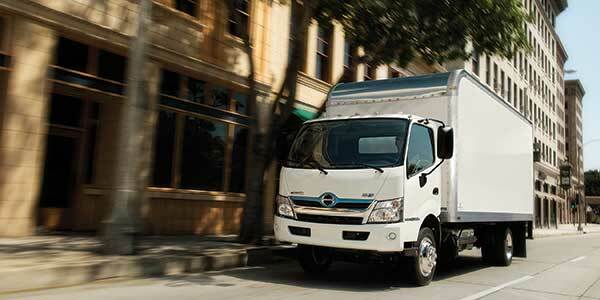 Now standard on 2017 Hino model year trucks, Hino INSIGHT provides real-time connectivity through INSIGHT Telematics, INSIGHT Remote Diagnostics and INSIGHT Case Management. 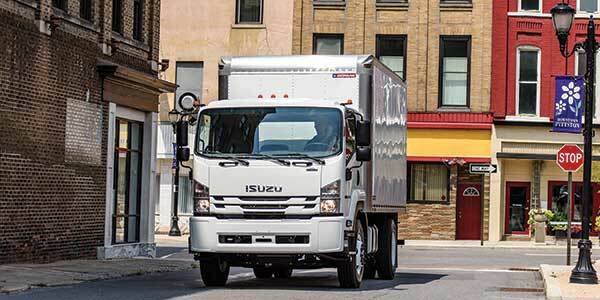 Brian Tabel, executive director of marketing at Isuzu Commercial Truck of America Inc., notes that the manufacturer helps fleets train drivers to safely operate vehicles by providing a DVD with each truck along with an online driver orientation video. In addition, the company’s fleet and district managers and dealer salespeople conduct driver training on the safe operation of Isuzu trucks.